PRESIDENT – JEAN EVANSMORE is from a holler in Scarbro and now lives in Mt. Hope. She attended the new DuBois High school her first two years. Two years after being opened, the school was integrated and renamed Mount Hope High School. She graduated from there in 1958. Evansmore founded DuBois on Main in 2012 after returning to Fayette County and buying the building at 116 Main Street. 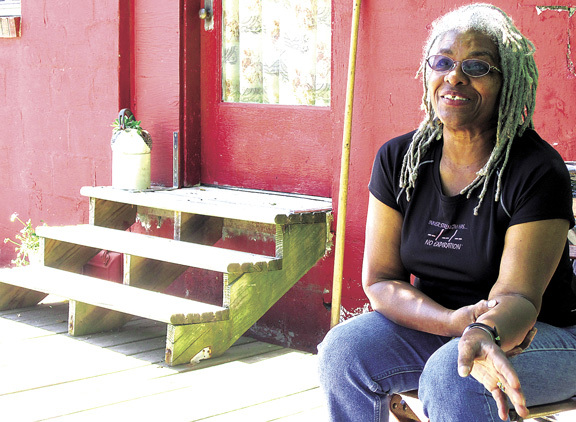 In the early 1980s, she was appointed as a member of the Rhode Island State Arts Council and was a founding member of the Rhode Island Black Heritage Society. She worked as a substitute teacher in Fayette County in the mid-90s and in Howard City, Md., in the mid-2000’s before her move back to West Virginia. 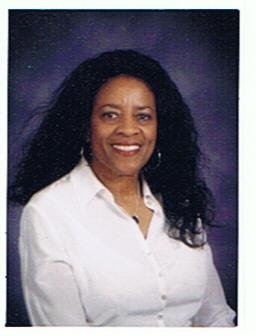 In 2008, she received the Volunteer of the Year award from the Howard City Board of Education. She served as the membership chair of The Council of Elders of the Black Community in Howard City for about eight years, where she gained lots of experience with mailing labels and served as a volunteer at the high school to help reduce the rate of suspension, etc., mainly of black males. At age 64, she became a Marathoner and has completed over 135 races to date. She is the only person to complete the Savage Seven (7 marathons in 7 days) five consecutive times and looks forward to continuing. SECRETARY – KATHLEEN SCOTT is a 1958 Mount Hope High School graduate, with further education in NY and WV. She taught in Fayette County and at Glenville State College and retired from WV Board of Education. Kathleen is very actively serving on various boards in the area and at her local church. She served as the City of Mt. Hope recorder from 2005-2012 and was elected Council member in 2012. The Mt. Hope Federated League recognized Kathleen as “Woman of the Year. She was also a Mount Hope High School Teacher of the Year and is in the Mount Hope High School Hall of Fame. Kathleen is “proud to be a part of this exciting organization.” During an illness in Fall 2015, although she was unable to attend meetings regularly, Kathleen maintains her membership and position on the board of directors. Members felt it was important that she remain on the board as she was a charter member. She resumed her duties in 2016 and is active. 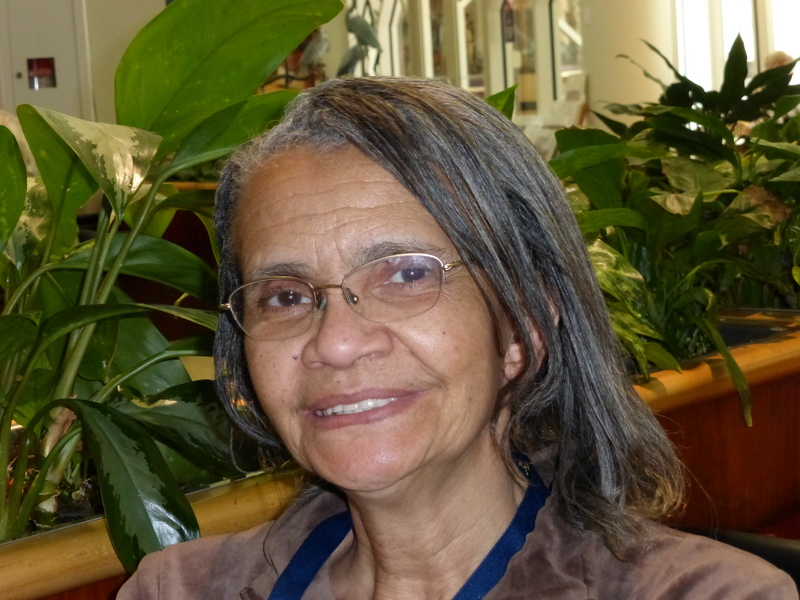 TREASURER -EDNA FARROW is a Mount Hope native, born and raised in the Turkey Knob section of the city and now resides in a large house not far from where she lived as a child. Along with her husband, the large inclusive family includes adopted children, grandchildren and kids from the surrounding neighborhood. She knows all the kids and that makes her a very valuable member of the board. She can be seen with a van full of kids on their way to practice or participation in one of the many sports they are involved in. The whole family can be spotted in attendance at these games. Edna is also an important member of her church where she holds various positions of responsibility. Her young family members are also active participants in the services. When asked to be a member of the board, Edna was a bit apprehensive. But since joining she has willingly come forward to support various programs and events sponsored by DuBois on Main. Recently, she managed her family responsibilities and schedules in order to attend a two day WV Museum Assoc. conference wherein she observed, participated and learned new ideas that can serve to make the museum a bit more child friendly. She created the Family Fun Night program and serves as the coordinator of such. We are extremely happy and proud to have her serve as a board member. MEMBER – DENNIS KINZER recently resigned as a board member. He and and his wife Hilda recently retired and moved TN. 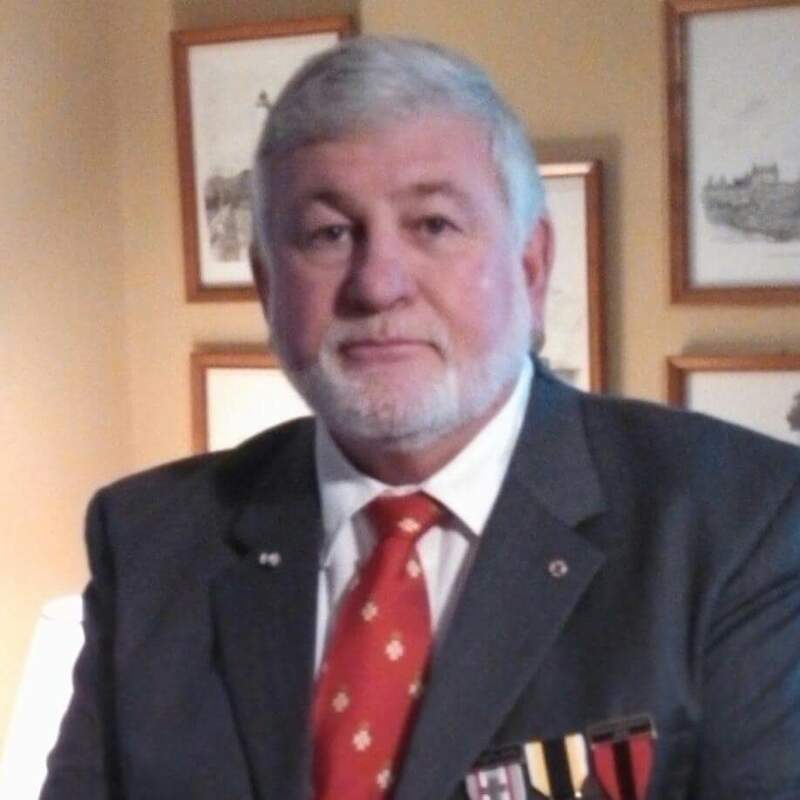 Because of his interest in supporting the museum and staying involved his request to rejoin the board was enthusiastically accepted even though his participation will mainly be by teleconference with an occasional in person visit. Dennis has a background in counseling and pastoral studies. Most recently, he was employed by FMRS for over 20 years as a counselor and program director. He also worked previously in similar positions in North Carolina. He has a bachelor of arts degree in pastoral studies from Johnson University in Knoxville, TN and a Master of Arts degree in Counseling Psychology from the College of Graduate Studies from Marshall University. He retired from full time work in mental health 3 years ago and from full time ministry in September 2015. He and wife Hilda have 10 grandchildren and enjoy traveling. Dennis wants to remain active in community service and rejoining DuBois on Main helps fulfill that desire. MEMBER – HAILEY HORN is an Oak Hill, WV native, and a Marshall University alumna where she earned a bachelor’s degree in history. During her junior year, Hailey took an African American Studies class with Dr. David Trowbridge, the creator of the Clio Foundation, a history app and mobile website that brings unknown historical narratives to light. She chose to study and write about African American history in her home county, and luckily stumbled upon Jean and Dubois on Main. 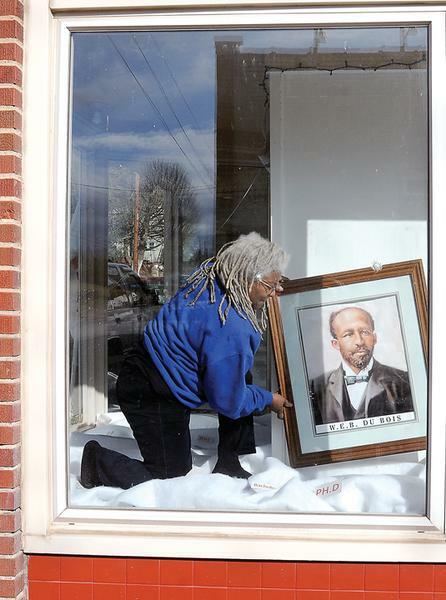 Hailey showed up unannounced and Jean dropped everything to spend seven hours teaching Hailey the history of DuBois High School, a history that had been looked over and forgotten by the local community before the establishment of DuBois on Main. Hailey wrote about the history Jean had taught her and published three articles on www.theclio.com, but she was still curious and wanted to learn more. During her senior capstone class, under the instruction of Dr. Daniel Holbrook, Hailey dove head-first into the history of DuBois High School’s integration process. She studied resources from Marshall University Special Collections, the WV State Archives, and interviewed local historians and DuBois alum. During the research process, Hailey’s professor pointed out the unique integration of DuBois High School, where the local BOE closed the white high school and moved those students into the newly built DuBois High School, changed the name to Mount Hope High School, and tried to rid the existence of DuBois High School. Fast forward to two years later– in 2017, Hailey was a Preserve WV AmeriCorps member for the Clio Foundation, and decided to start the DuBois High School Historical Marker Project with Jean and the other DuBois on Main Board Members. Hailey helped plan the kick-off event, coordinated public outreach, and wrote the application submitted to the WV State Division of Culture and History. The application was submitted and funds were quickly raised. She will serve as our Historian. Welcome Aboard, Hailey. We’re happy you’re here.